We are committed to providing quality Secondary Education programs that prepare young people to become highly qualified professional teachers. In four years, undergraduates can earn a bachelor's degree in their content area and complete a set of pre-professional courses as well as field experience that prepares them to teach in grades 7 to 12. Although our programs are diverse, they are unified by a commitment to serving our students, our community partners, our alumni, and, ultimately, secondary students in and around Delaware. 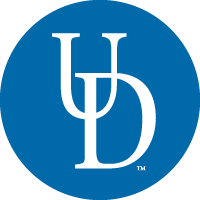 All University of Delaware Secondary Education majors develop a thorough understanding of the material they will teach because our students complete a full academic major within their discipline (for example, in Mathematics, Biology, English or History Education) in addition to their teacher preparation coursework. After successfully completing the course of study students will be certified to teach at the middle- and high-school level. See all of our undergraduate programs using the links to the right. We also offer a Dual Certification "4+1" Master's Program in Secondary Special Education​. To learn about ​​elementary education opportunities at the University of Delaware, please visit the Elementary Teacher Education website​​. ​Support the Secondary Education Program today​.